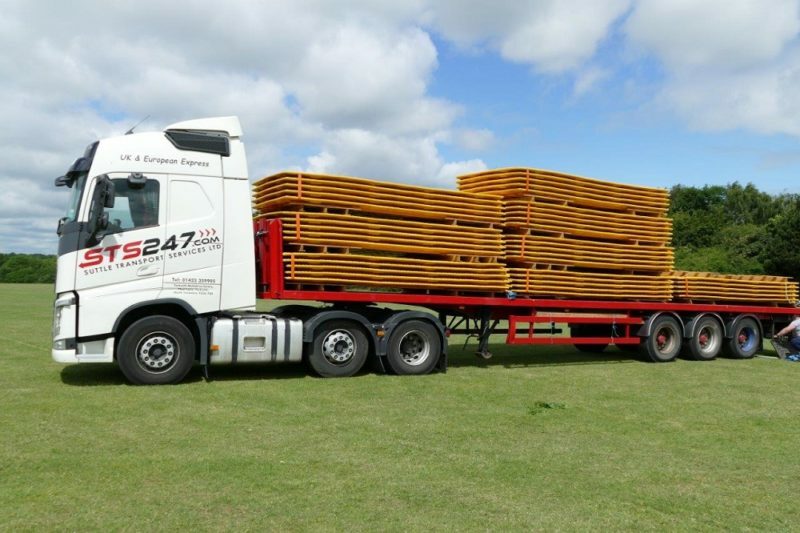 With work due to begin on the building of a new synthetic sports pitch, the school were concerned that the volume of heavy trucks delivering materials would cause severe damage and rutting to the playing fields that they needed to cross. 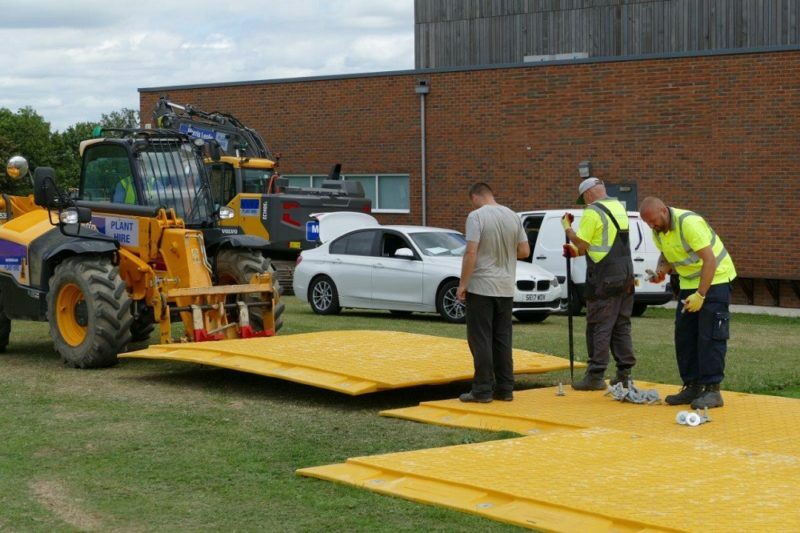 The construction project would require approximately 400 38 tonne tipper loads of stone and 150 loads of tarmac, and so a strong, robust, safe roadway solution was needed to protect the ground. 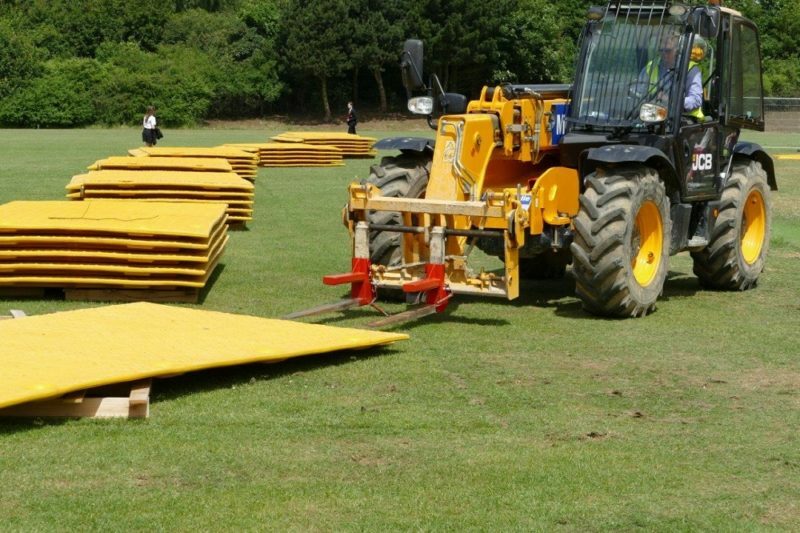 Ground-Guards recommended the new XtremeMat matting system as the ideal product. 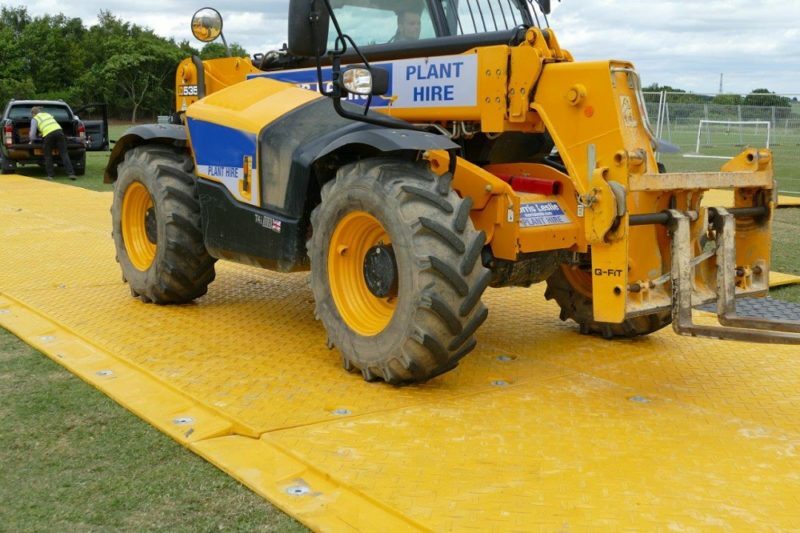 These 4x2m heavy mats, featuring flange joints to give total support and increased trackway strength, are designed specifically to cater for heavy traffic. 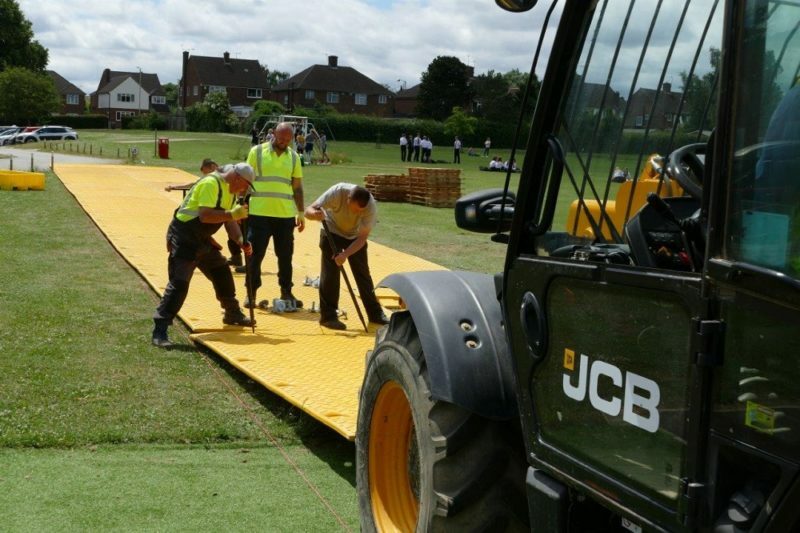 The school hired 50 mats over a 12 week period to create a temporary roadway and turning area. 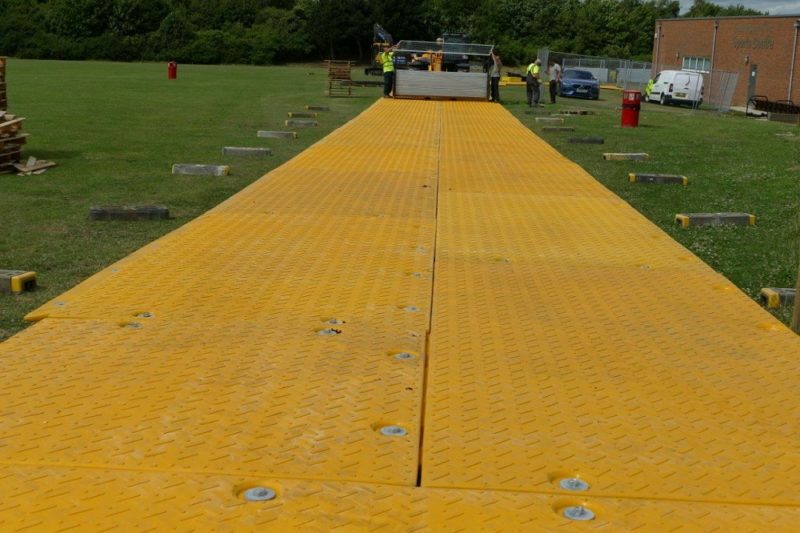 This was important to enable the trucks to enter and leave the site without reversing through the school car park. 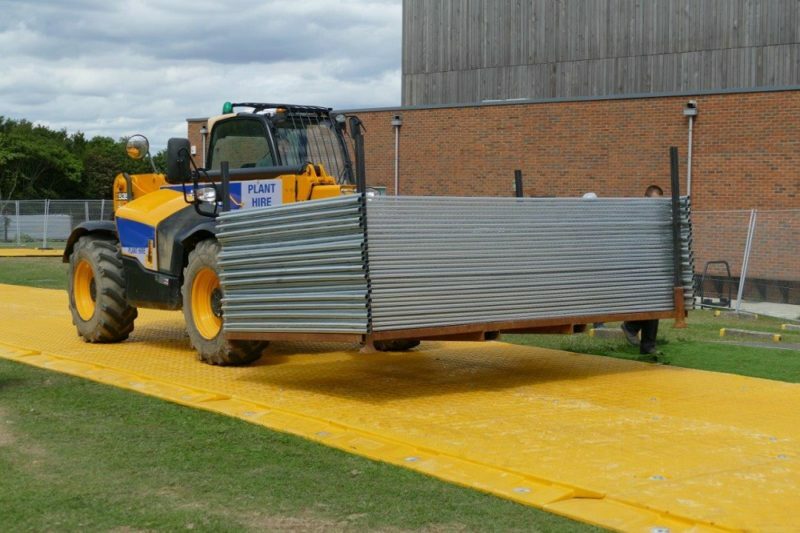 The mats were laid quickly using a telehandler with grab forks and so the access road to the build site was up and running in just over two hours. 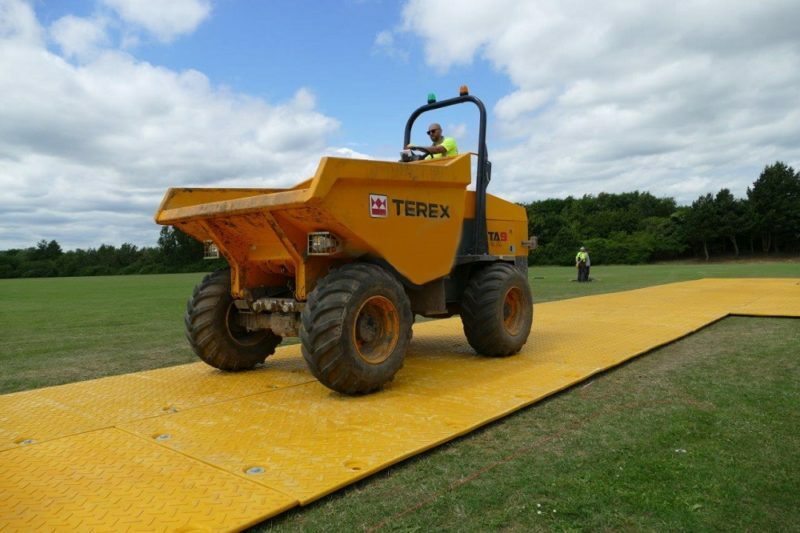 The school were delighted with XtremeMat as a neat, aesthetically pleasing access road that maintained their high standards without any compromise to safety or efficiency.